which you can access through the sliding door. How I love this door! 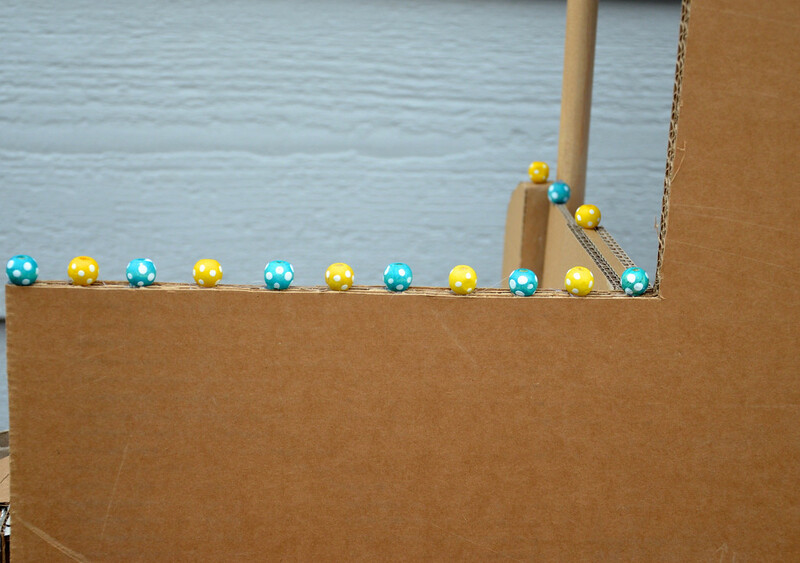 The back fence is decorated with polka-dotted wooden beads, that appear in various other parts of the house and furniture. 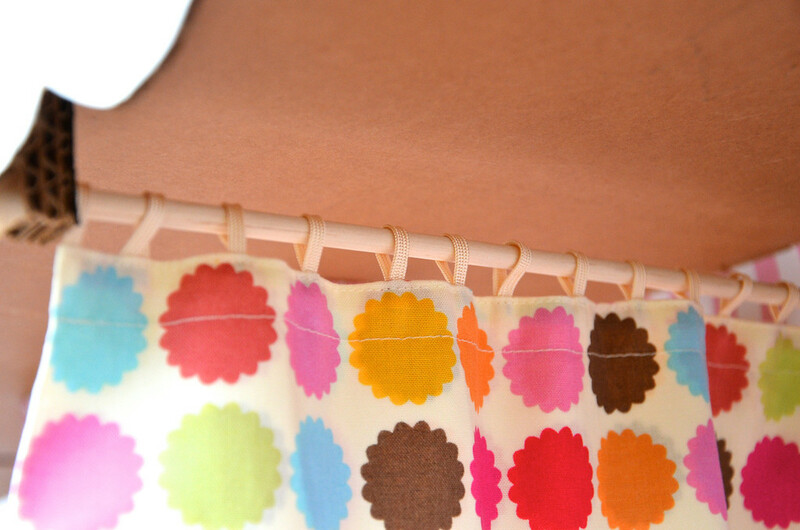 that slides on a dowel through loops of woven satin trim. that opens out to a tiled patio. Don't you love the tiles? The girls colored them with black Sharpies. I drew out squares on a big sheet of brown kraft paper and they spent a morning blacking out those squares. I wish I'd taken a photo of them working hard on it. Kate even tried to write her letters on the brown squares. 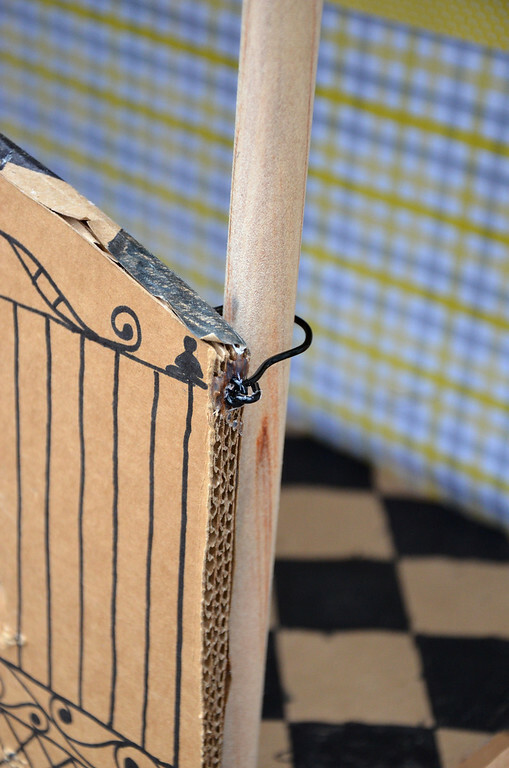 Then we stuck it on, like fake linoleum, to make a giant hinge for the gate to fold up and flop down. in two spirals. They were easier to make than they look. 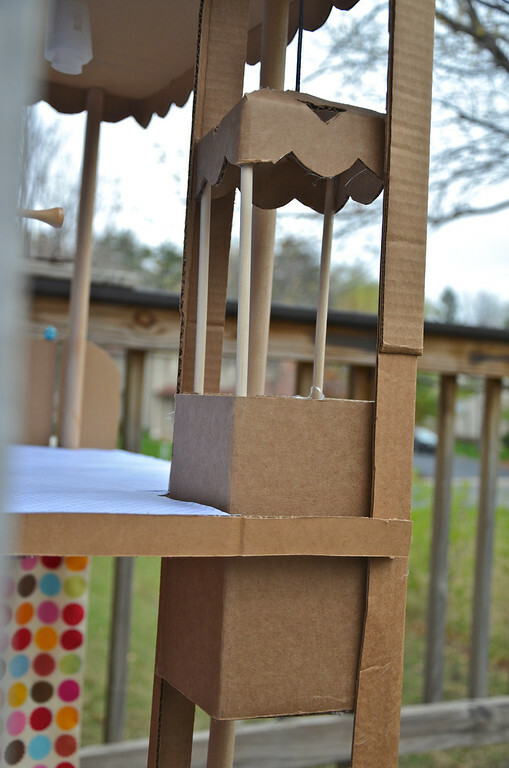 I used several narrow, sturdy cardboard tubes glued together to form the central supporting post. 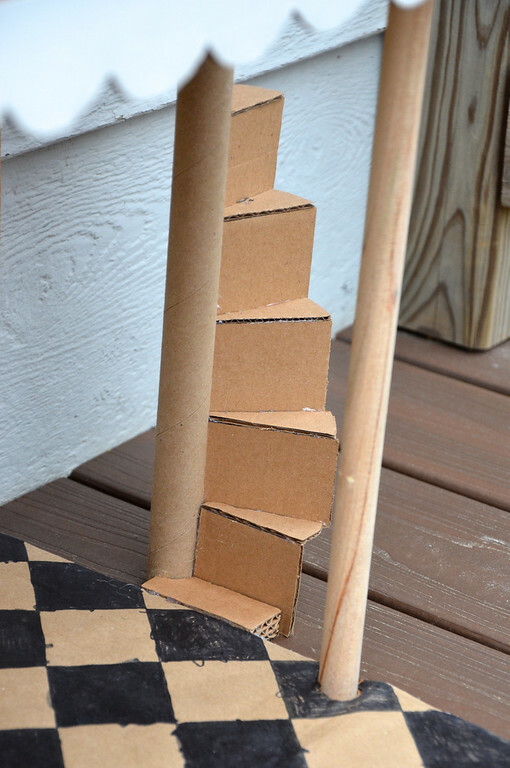 The steps were made from a single circle, cut into 16 segments, 8 (i.e. a semi-circle's worth) for each set of steps. 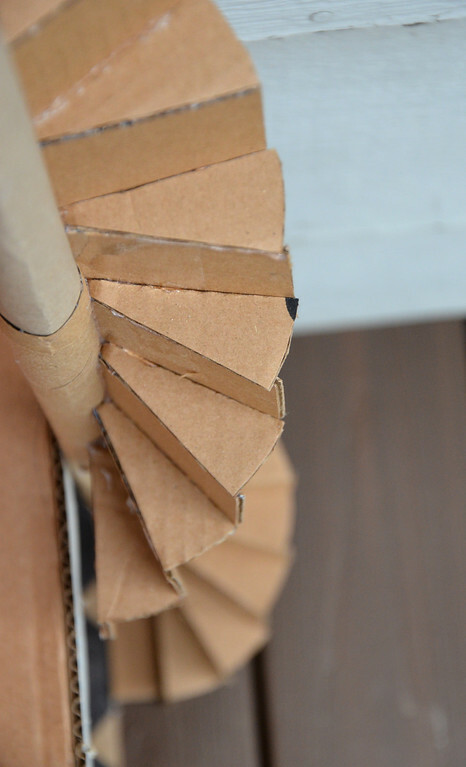 The vertical pieces of the steps were rectangles, and each step was glued on in sequence, beginning from the bottom, to form the spiral. After the entire staircase was completed, it was glued to the side of the house. The second way to access the floors is by elevator, which was just a cardboard box with a door and dowel posts supporting a peaked roof. The elevator shaft is not the prettiest thing, honestly. I didn't have the right kind of cardboard to make those long vertical rails inside which the elevator car slid up and down. It works, but it is not ideal. 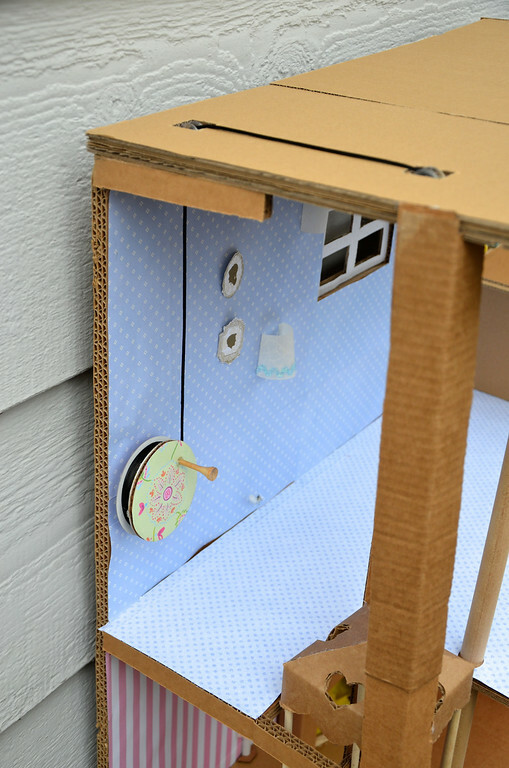 to the back wall of the bedroom, where it winds on a windlass-type thing (cardboard spool that used to house ribbon). I am not pleased with this, either, because it isn't as stable as I'd like. From a fully-wound state, it unwinds beautifully to lower the elevator gently to the ground. But it is wretched in the other direction. So the girls pull the cable by hand to raise the elevator, like a typical pulley system, which works better. I've already complained about that earlier, so let's move on, shall we? I'm just post-mortem-ing my own design, and telling you all the icky bits, so you'll do something different if you make this yourself. I think that if that wheel drives me sufficiently crazy over the next week, I'll rip it out and do it right. At the bottom of the elevator shaft is the tall and skinny side door that allows entry to the elevator lobby. Now for all the teeny little details. First are the light fixtures - to which you've already been introduced here. 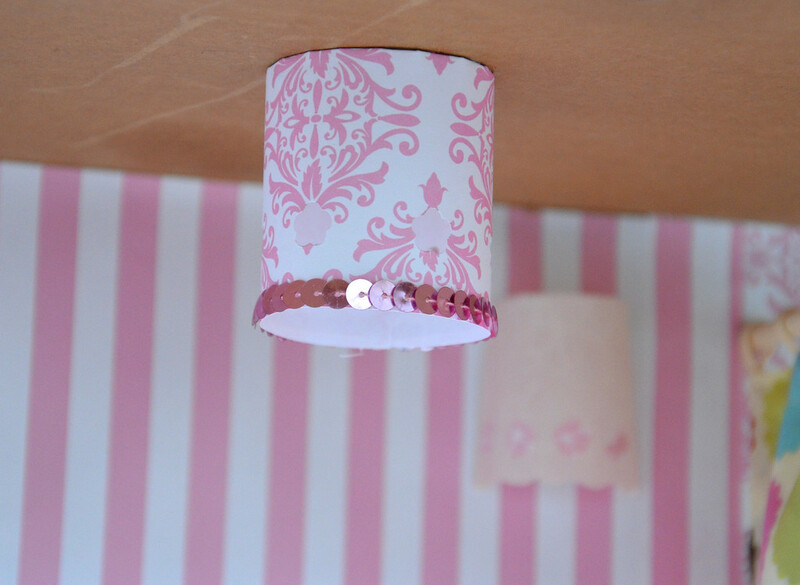 This one is a paper tube with holes punched out and sequined trim glued around the bottom edge. These are pink plastic easter egg halves with pom-pom trim. Very my-grandparents'-generation-ish. 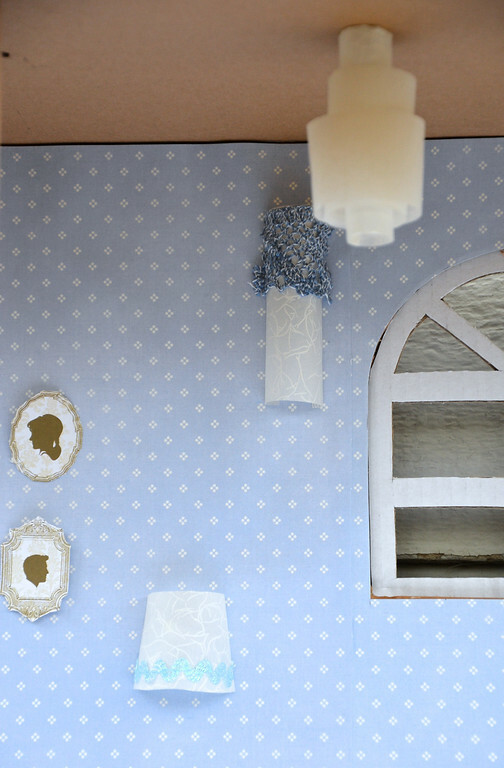 These chandelier and sconces are vellum paper decorated with various trims. 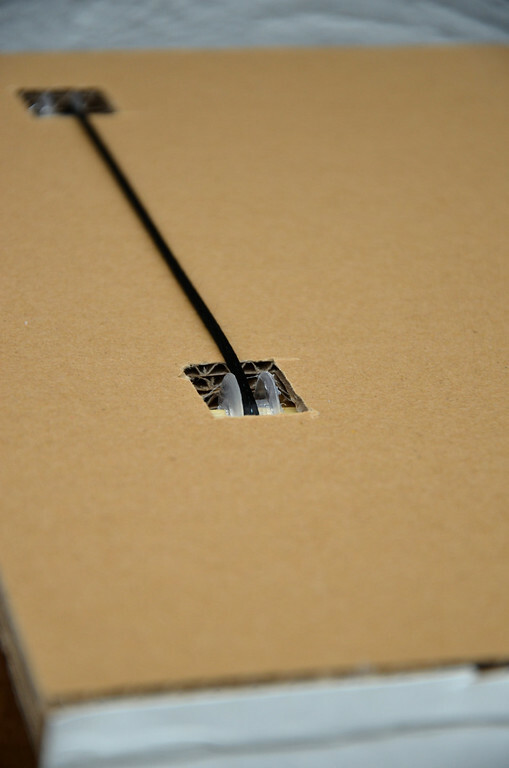 In this post, I showed you how the wiring was recessed into the cardboard surface of the walls and floors, and then wallpaper plastered over everything. I used two strings of white STRALA lights (bought from IKEA during the holiday season). 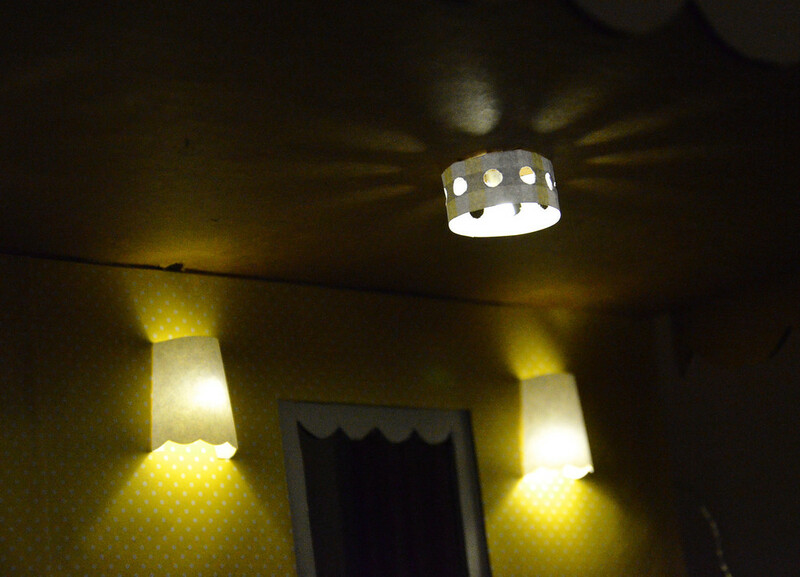 The fixtures were simply glued in place over the protruding LEDs. 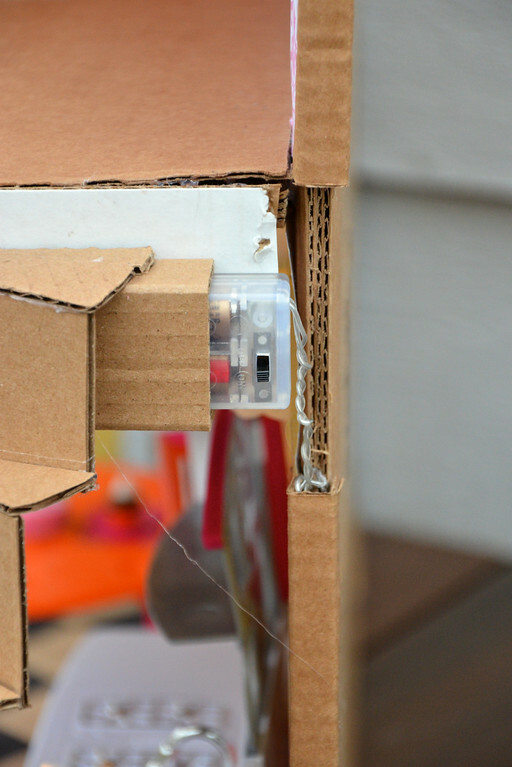 The trailing wires were fitted into cardboard channels, and the battery packs were slid into little compartments under the top step of the staircase on each floor. Here are all those lights at work. 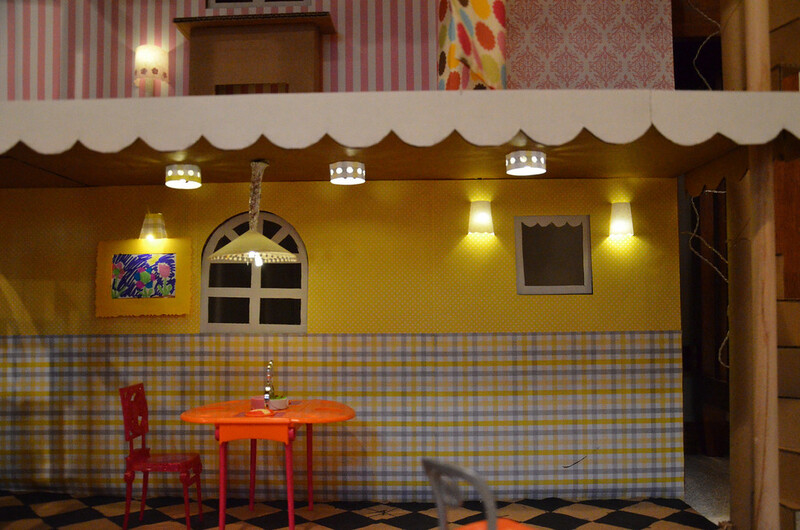 I love the way those holes make light daisies on the ceiling! The girls enjoyed making all the little accent items for the house. They dug out their mini art pieces from the old easel project and made framed art for the walls. We also borrowed one of their little woven potholders for a bedroom rug. 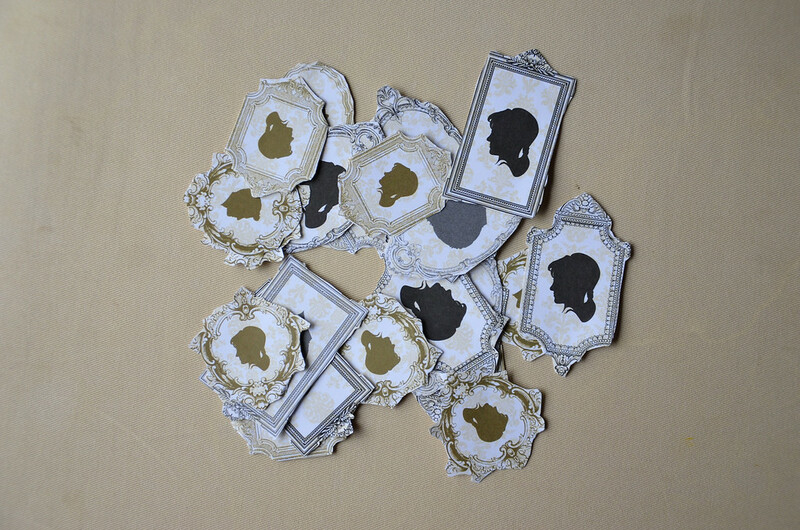 Emily cut these silhouette portraits from a single sheet of scrapbooking paper we found in Michaels. She turned some of them into standing portraits with a little cardboard leg at the back. 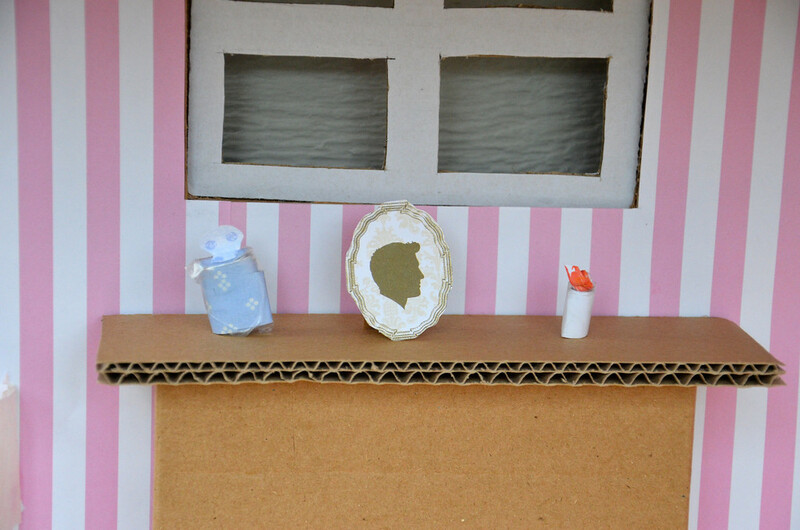 She also made a tiny candle and a soap dispenser/Kleenex box for the mantelpiece. Kate made a book, which we helped her staple together. And here is the house, as it was presented to Kate two days ago, although she'd already been eagerly following its progress for the past week and a half. We moved in the girls' plastic dining set and kitchen counter, and the cardboard bed from here. As of today, we've added bathroom fixtures, which Kate got as a birthday gift. For completeness' sake, here's the back of the house. Very plain. And here's a shot of the girls playing with the house. If you look closely, you can see the be-jeaned leg of a downed Ken doll in the bathroom. No doubt he was killed, and the police should be here any minute now, and I probably also should've made some black-and-yellow-striped tape to cordon off the place as a crime scene. I'm glad we didn't try to keep it a secret from Kate, not that it would've worked, anyway. 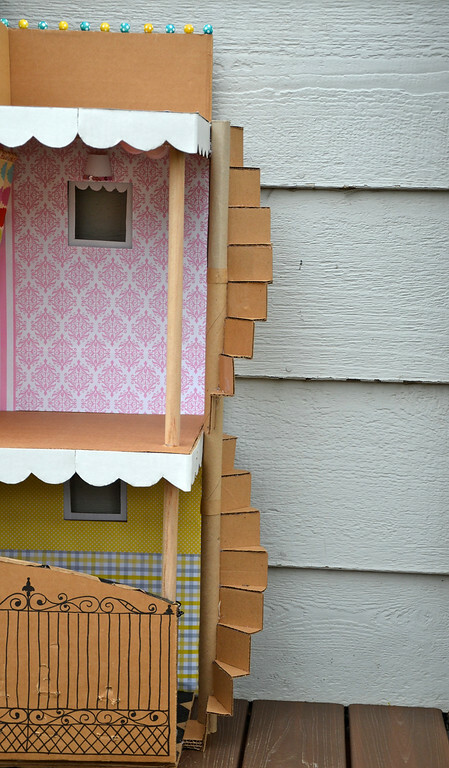 Each morning, the first questions the girls would ask me were, "Did you work on the Barbie house some more last night? Can we see?" And down the stairs they'd run, even before breakfast. Keeping it real, though - working on a big project like this, for as long as we did, on a deadline, with ill-timed interruptions for meal-preparation or bedtime, means there were occasions when my blood pressure soared. I'm glad the girls got to help on some bits of it, but it meant me being on heightened vigilance (= a nervous wreck), to make sure no one inadvertently got near the glue gun, or the scissors, or the craft knives. Yes, I took precautions - for instance, I never left an exposed blade on a surface within their reach, but little children who so badly want to help, are still so prone to accidents in their excitement, aren't they? True (bloodless) account: After painstakingly trying to color within the lines on the patio squares, We (particularly Jenna) were initially aghast that Kate scribbled ABCs on the patio floor. After a moment of stunned silence, during which someone -possibly Jenna - whispered, "Can we erase it?" I looked at Kate's little face, her eyes big with anxiety, her hand still clutching her guilty Sharpie, and remembered what was really important in all this. Took a deep breath and said to her, "It's your house, honey. You just wanted to write your name on it, right?" (she doesn't understand the word "autograph"). Then the moment passed, Kate relaxed, and everyone resumed coloring as if nothing happened. And it was as if grace threw open the windows and let in fresh air. 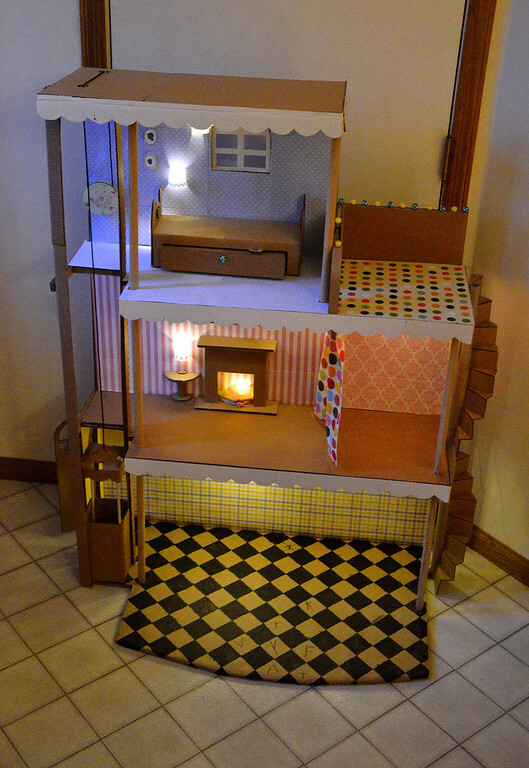 But back to the house - oddly enough, in spite of making it as big as the piece of cardboard (it was a treadmill box in its previous life) allowed, it still seems too small for all the home decor the girls want to put in. Maybe sometime in the near future I will make some living room furniture - like a curvy sofa and armchair. Or we might just go out to Target and buy plastic versions. I'd also planned to make a detached garage, with retractable door, and some reclining deck chairs but I think I'll also pass on those now. Tonight, I dug out all my vintage (or maybe they were just from the 70's, I can't remember) French clothes pattern catalogs that I inherited from Grandma because I feel like I need to make something soft and fabric, that doesn't involve a craft knife and strenuous hacking. I also badly want to sew two really fun bags. It's fun to move on! BUT..... I have one more cardboard project to share, before all that happens. It's Kate's low-suspense piñata, which I'll post about once I get the photos off the camera. Or whenever. See you back here soon! So... one and a half years later, I'm responding. I am a bad person. I did have a look at your house, though. And I did not laugh because it is a cool house! I think you and your children are so clever and so creative. Its beautiful you should be so proud,its amazing. It goes to show you dont need to spend loads of money on childrens toys, you just need a little imagination and the world is your oyster. My friend has three young children under 5 and very little money ,I might have ago at somthing like this for her daugther. You have inspired me. Thank-you. This is quite possibly the most amazing thing I have seen in a while! I though I was a bit mad for cardboard but this is some truly next level business!!! Hope it was a great birthday. 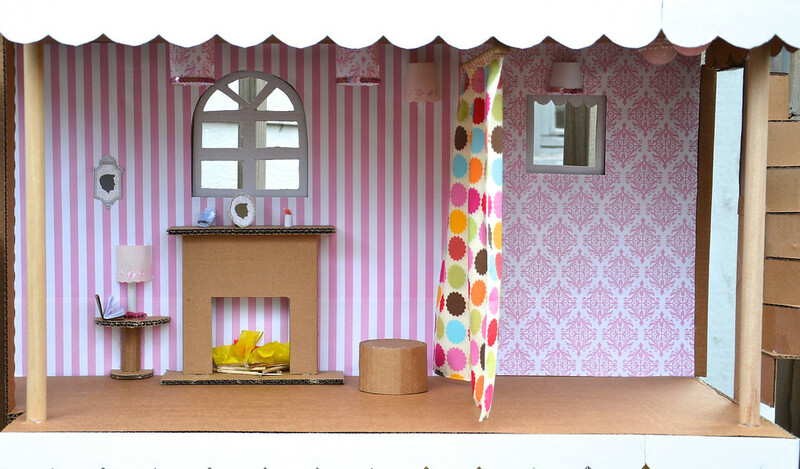 It's really quite an inspiration, especially as I was tossing up buying a dolls house. I can see that the structure has been made with triple corrugated cardboard, but how are the floor attached to the back wall? 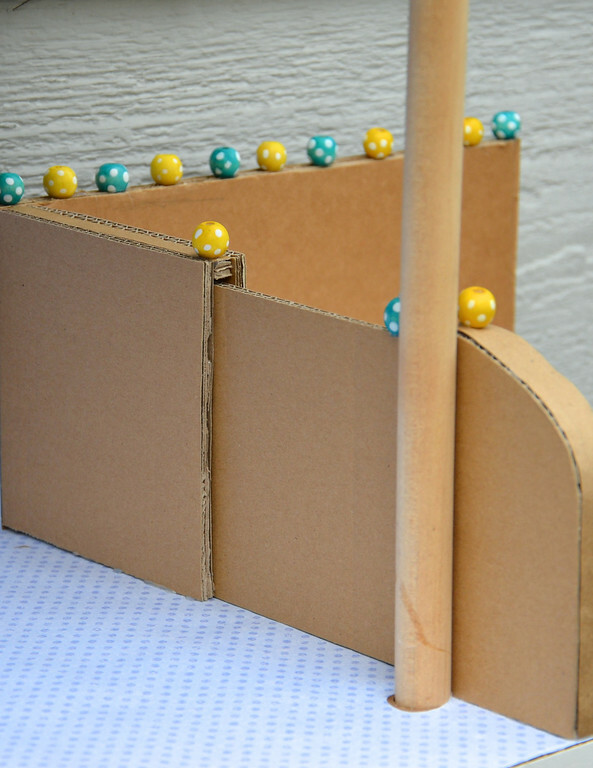 Are the wooden dowels simple glued to each level? You have to be the coolest mom ever!! 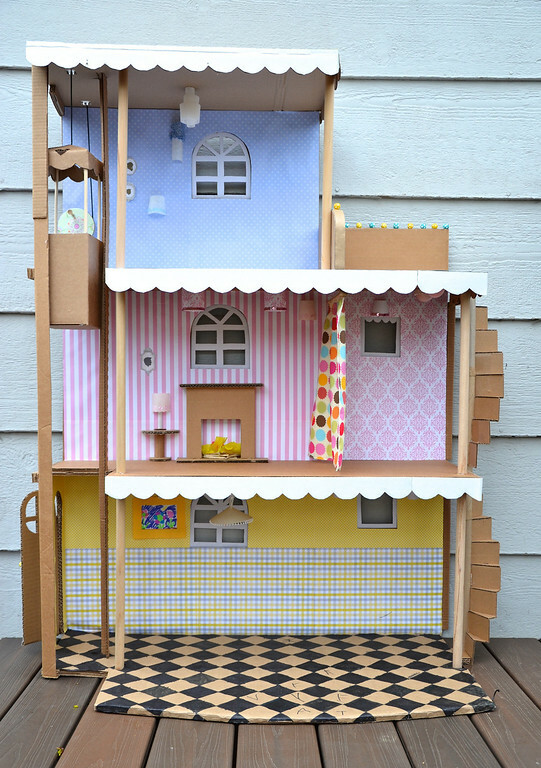 I have never seen such an awsome barbie house as this and you made the whole thing! Great job!! superb. It looks amazing. I love the lights! OH. WOW!!! There are no words! But my smile kept getting bigger and bigger, the farther I read. And then I burst out laughing about Ken in the bathroom. And nearly cried reading the part about Kate's letters on the floor. Amazing! I especially love all the light fixtures. 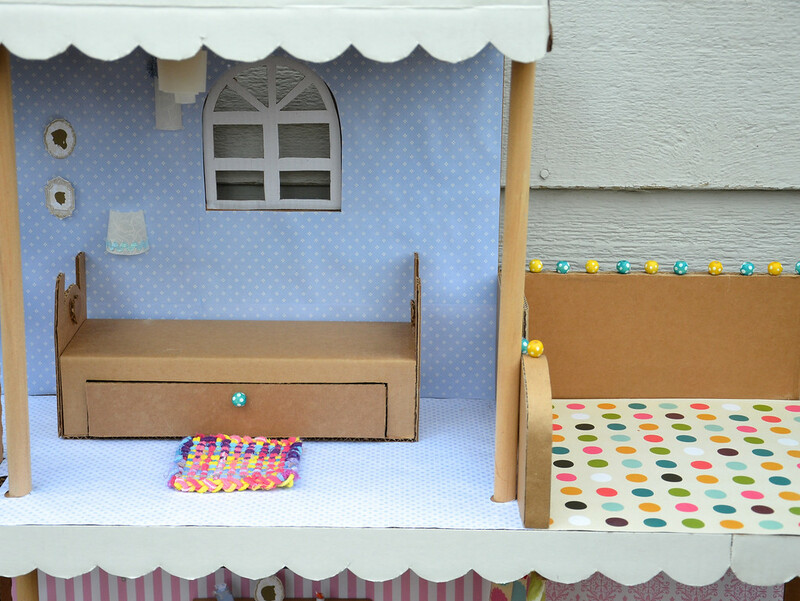 One thought for doll furniture, check out "plastic canvas doll furniture" on ebay. You can buy patterns or just get great ideas, and your older girls might be able to help make it. My grandma had some for us at her house and it was awesome. Durable and cute and crafty! That is the coolest doll house! 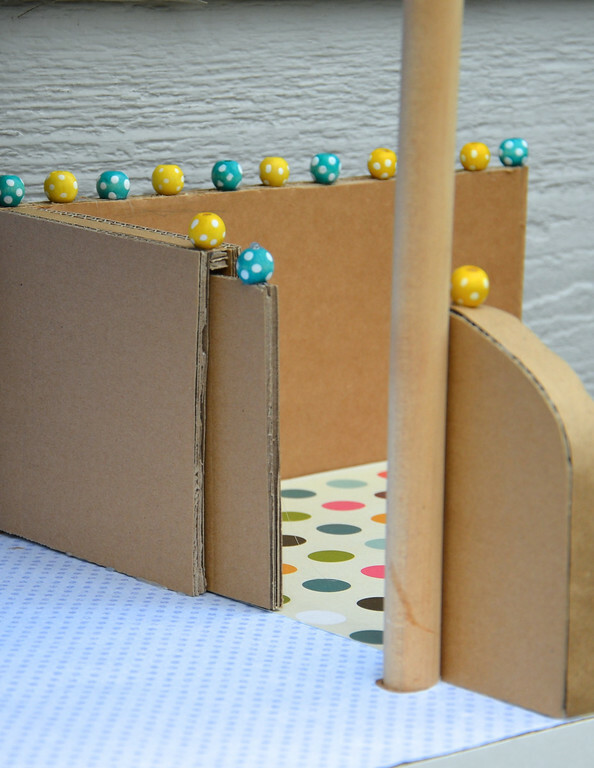 I love seeing all your carboard work..and sewing too! 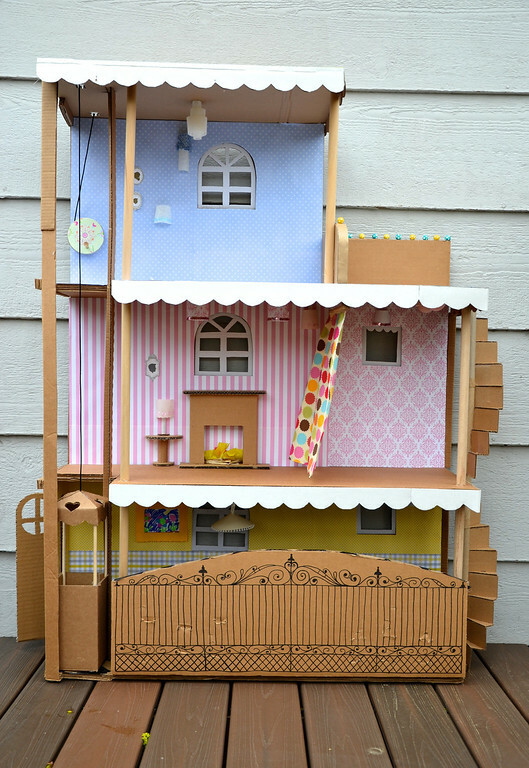 That is such an awesome doll house! 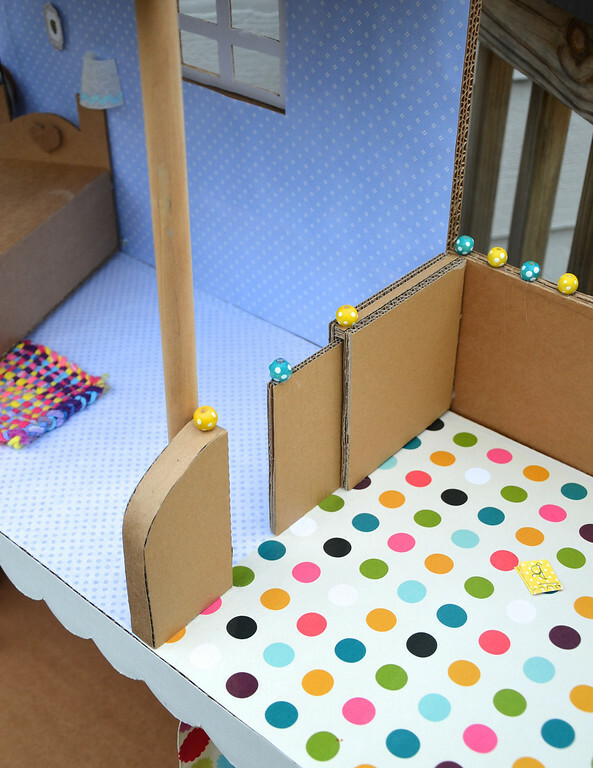 Very inspiring and I love seeing all your carboard and sewing creations! Thanks for sharing. This is wonderful! I bet the girls love it even more because they helped "build" it. You know, I've kind of gotten used to seeing the amazing things you craft and the flawlessly perfect things you sew, but this post revealed yet another talent, you are a superb writer! That line, "it was as if grace threw open the windows and let in fresh air" is sublime! As an author/illustrator, I'm marking it as the biggest prize in the piece. Shades of Kate Dicamillo even...wow! It's great ! I love it, you are so talented, everything you make is wonderful. Bravo ! House is wonderfull, stuning and awesome at the some time. Your girls are lucky to have such a great mom. This is a cardboard masterpiece! I love your attention to detail, yet also your ability to dial down perfectionism so it can be something your kids can really enjoy. 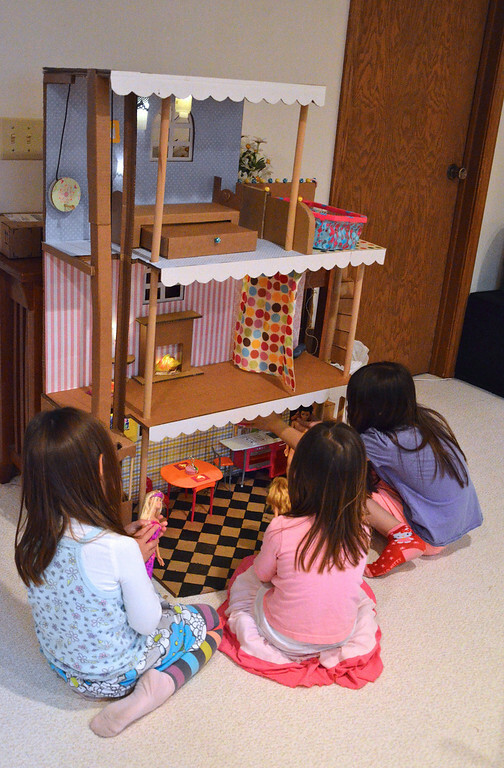 Your post takes me back to when I loved decorating my dollhouse and sewing clothes for dolls and building miniature things. My mom was often alongside, suggesting and helping, but not doing things *for* me, which I also admire in your approach. 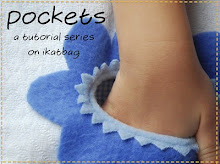 Your blog will be an inspiration when I someday have my own kids. Love it- well done! Reminds me of the hours my sister and I spent crafting furniture and decor for our Barbie house (purchased 2nd hand from a radio buy sell and trade show). one particular fun project was a round dining room table and chairs crafted out of wooden clothespins (pulled apart, so the springs were not used). Little glass jam jars, lids covered with a circle of fun fabric made mighty nice, not to mention stylish bedside tables. Guaranteed, that house will be, and already has, created hours of awesome memories for your girls! this is so amazing! all the lovely details, all the beautiful lights... you are such an awesome mom... and i loved the way you handled the little saga on the letters on the patio floor... i shared this post with my facebook friends.. hope it is ok. 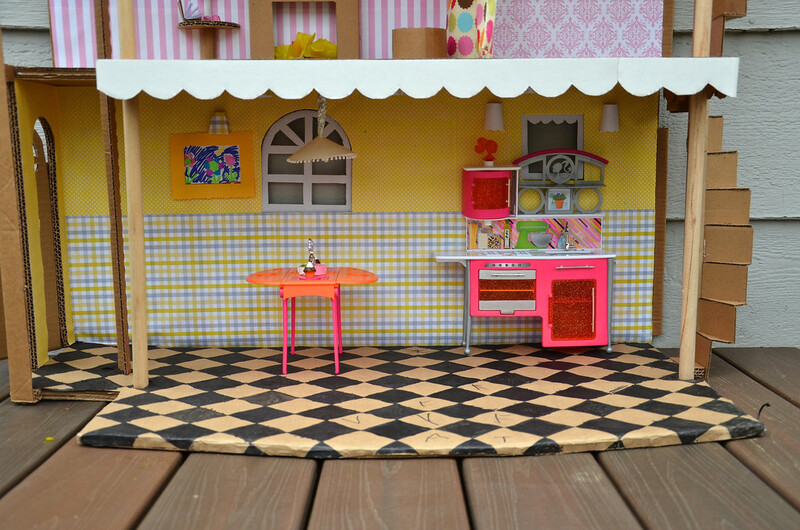 This is amazing.. love the beautiful details and the lighting.. i am sure your girls must have had a wonderful time decorating and playing with it.. and i think you handled the patio floor saga really well.. beautiful! you are one super mom. I shared this post on facebook with my friends, i hope that is ok.
Вау, какой замечательный домик! Просто супер! Мы недавно всей семьей тоже сделали маленький домик из картонной коробки. 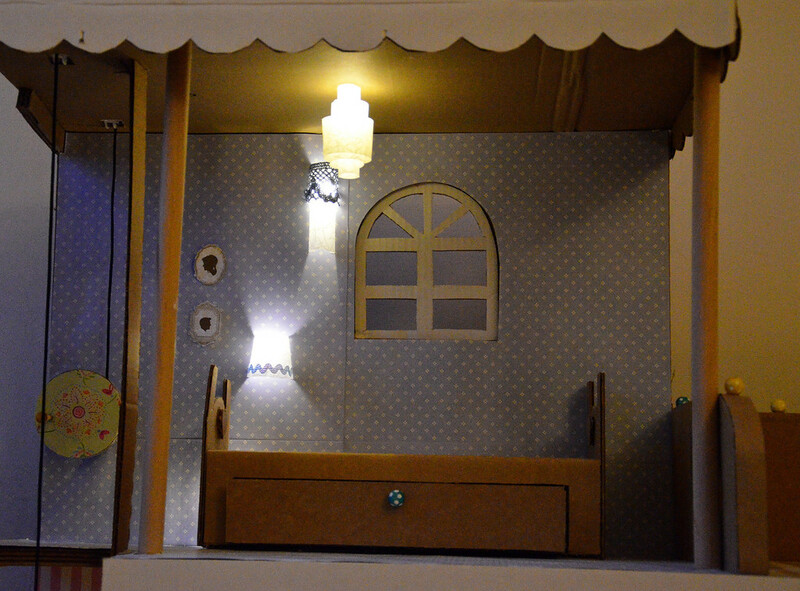 Заходите посмотреть - http://moy-sunduchok.blogspot.com/2012/03/doll-small-house-small-house-for-dolls.html Буду рада! Oh, this is stunning! I LOVE the lights and all the lamps, they are beautiful. Boy, your hands must hurt from cutting all this cardboard. I bow down to you. Truly. Your girls must be absolutely astonished when they meet other moms who aren't superhuman crafters. ;) And - wonderful parenting moment thrown in there, too. Good on you! Your the coolest mom EVER! Fantastic! admirable! amazing! I love it! 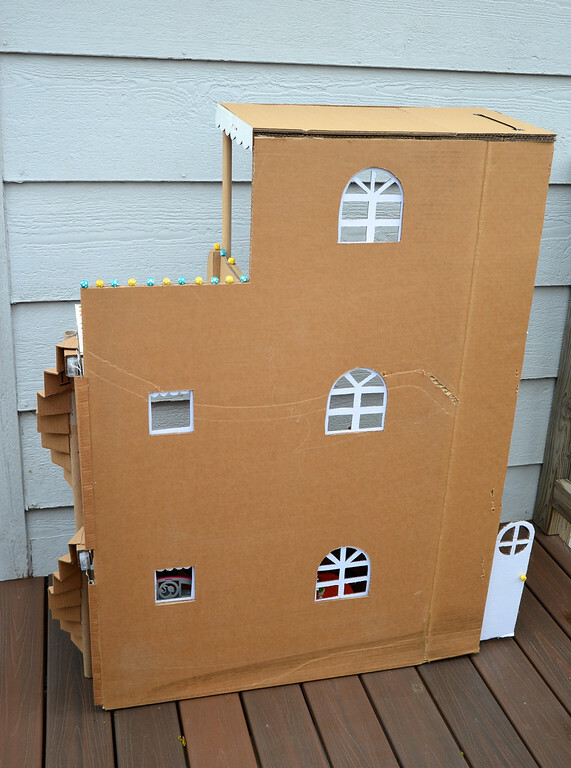 I will write on my blog about you and your cardboard house. Can I? When can I move in? I would love to have an elevator. My children loved getting a new refrigerator, washing machine, or other large purchase, because it meant we could turn it into a dramatic play construct. 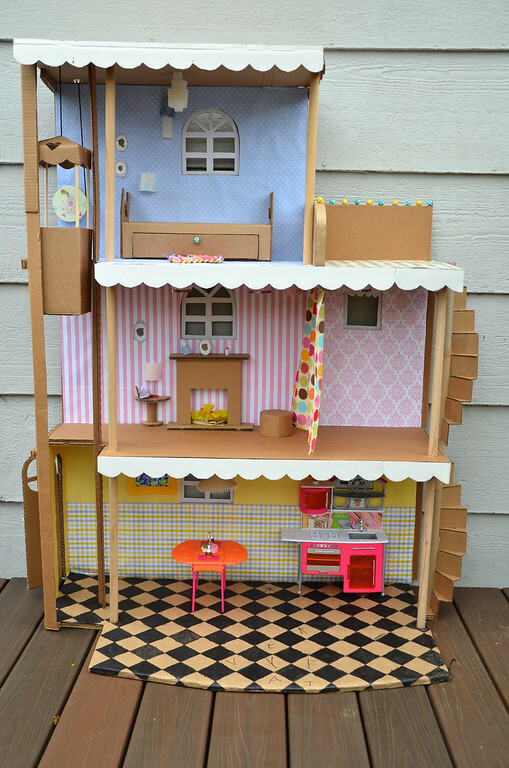 A doll house never appealed to my daughter, but she and my son (they are now 23 and 26) still talk about the pirate ship, space shuttle, and moon landing work site that we created when they were younger. It's amazing how the frustrations of getting the item made with their help melt away when you see them enjoying it. You are a fabulous designer! I have a huge bookcase that I got for about $8 at a daycare that closed down. And it is open on both sides. 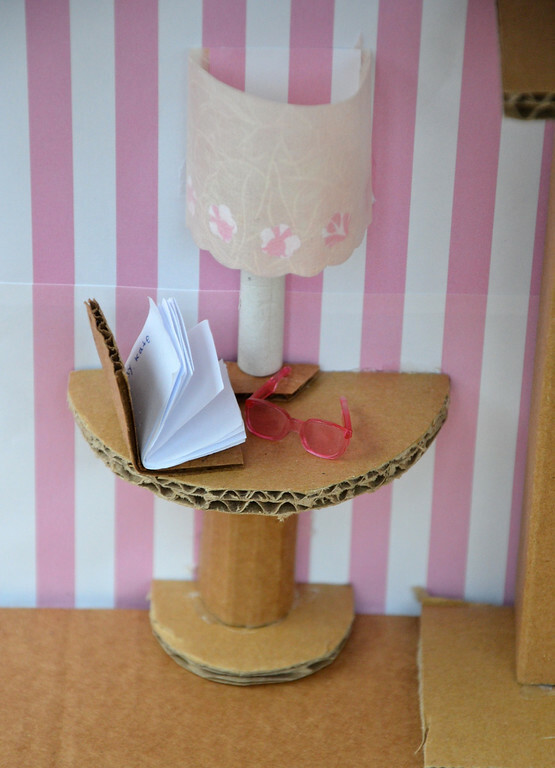 The girls use it for a barbie house, so I'm thinking that I am going to incorporate some of your ideas into their house. Thanks for sharing your creativity! I know exactly what you mean. Isn't funny, when you put something down you are never sure where you will see it again. Stuff gets messed with. Sometimes it is very frustrating! Do you think grace could work if I open the windows and let some air in? You make being a mom look good! Well done! 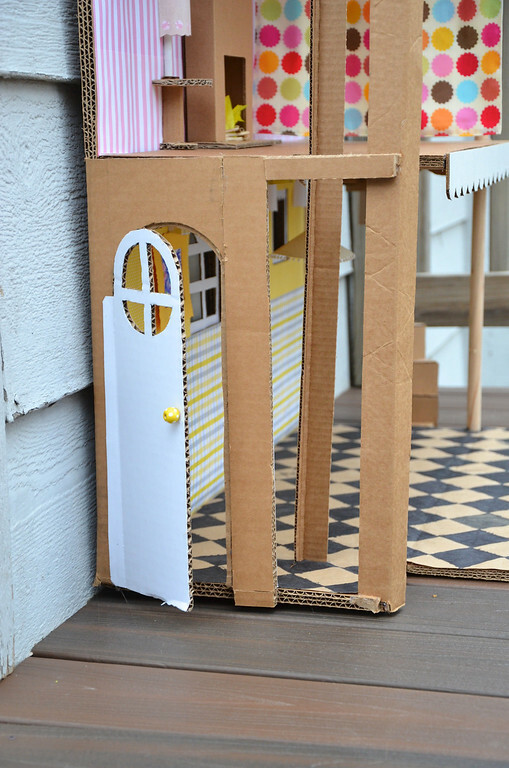 I love all of your cardboard projects and saw this today and immediately thought of you. It's not your style but I thought you would appreciate it! This is amazing! I'm speechless. Your beautiful girls will never forget it. This is the cutest thing I have ever seen!! So imaginative!!!! I LOVE it!! This is amazing!! Love all the detail. You are officially the coolest mom on the planet! I almost cried from awesomeness when I saw the working lights. I agree with Chase. 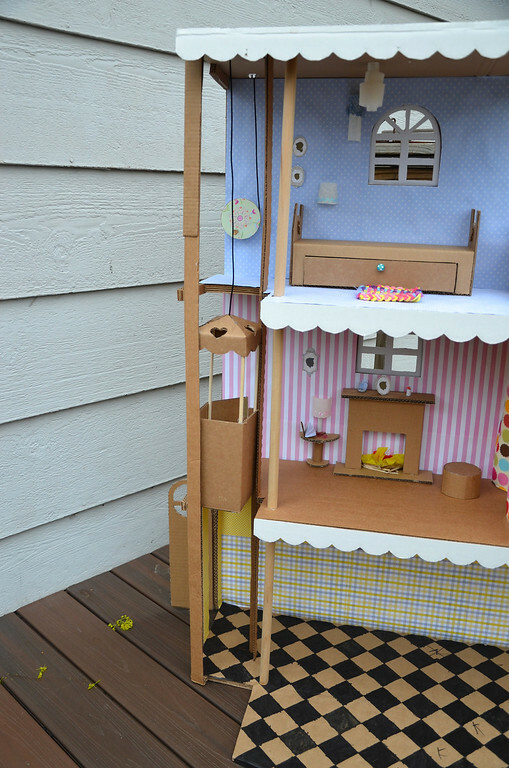 I always wanted to have a Barbie house when I was little and even attempted to make one out of cardboard in some childish way...this brings out the little girl in me. I hope you´re offered to write a book...you're amazing! Looks amazing! You did a wonderful job. Your girls are so lucky to have such a sweet house to play with! This is the cutest thing! So creative. This is seriously seriously AWESOME!! I love it! I love the detail of this little house. 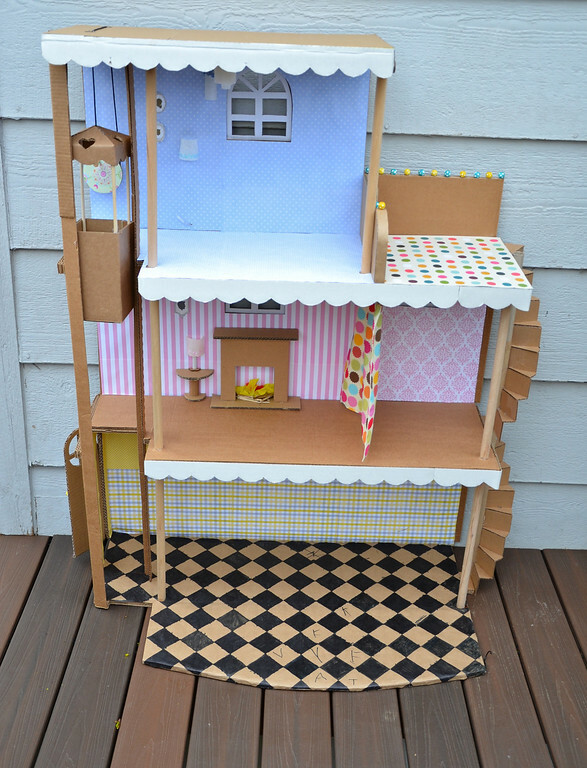 My daughter loves doll houses but they are terribly expensive and I could so see us making this for her. Thank you for inspiring me! Amazing!!!! you´re an ARTIST!!!!! Love your page!!!! One of the greatest things I've ever seen! I'm completely blown away. And working lights?! I die! This is amazing! 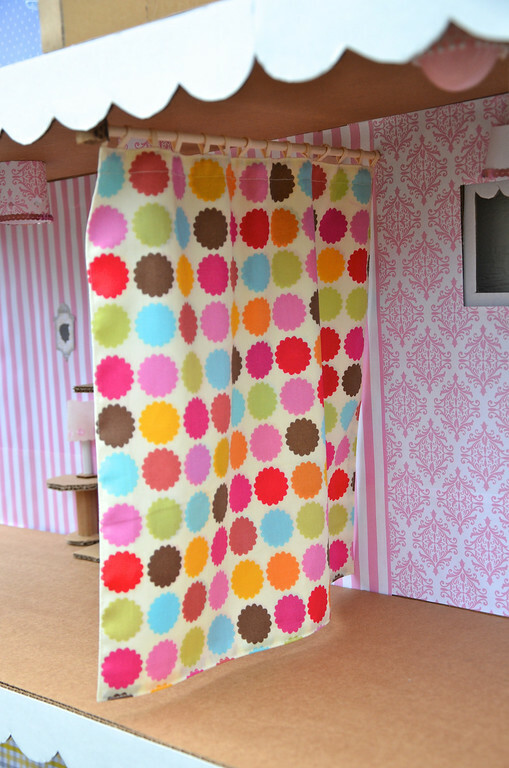 Do you mind sharing where you found the cute polka-dot fabric for the curtain separating the 2nd floor room and bathroom? So impressed! Katie, I got it at Hobby Lobby. Forgot its name, sorry. You should be a great interior designer. Soo love this house ...my autistic so Jake too...!!! This is truly inspirational. I was looking for a house to make for my daughter's lalaloopsy's. Maybe, just maybe i will try!I can only hope it looks half as good as yours!! This is the most amazing doll house I have ever seen ! This is the most amazing doll house I have ever seen! I love it! The stairs are particularly genius to me! You are so creative. 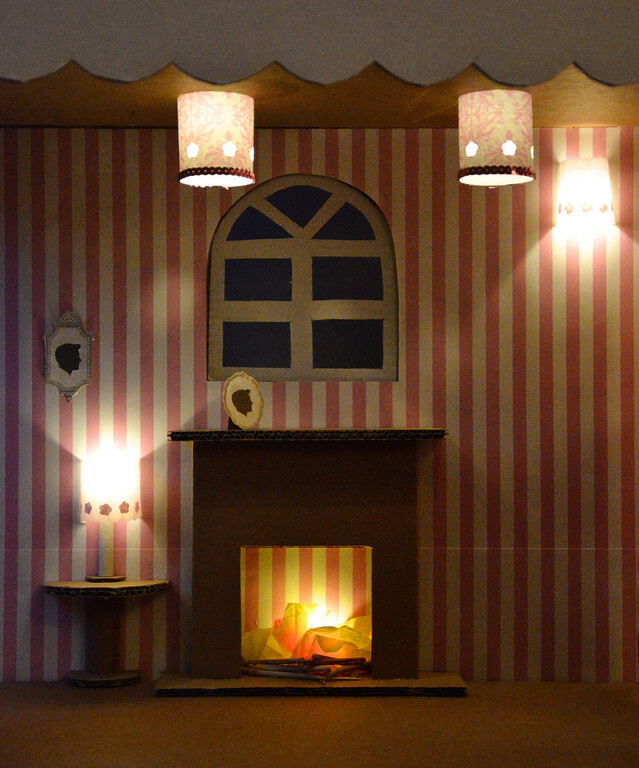 I don't have a little girl but this really inspires me to see what I can do with cardboard! 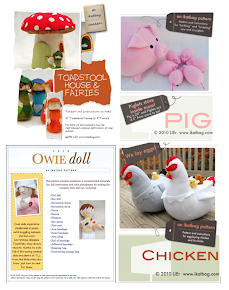 Would be fun to make for a little girl who doesn't have a crafty mom, or a little girl who is very sick. Thank you for sharing. Great!Amazing house...Really like it, thanx 4 sharing! This is absolutely awesome! I love it! My girls would have loved this when they were growing up. And I have 5 grand-daughters now, 4 of which are old enough to play with it and would also love it. Thanks for sharing. It's beautiful! just great. I wonder if this sale. Thank so special. Wow!! I have to admit, my first impression was, ok, kinda plain with the house being left cardboard colored. THEN I saw that you lit it up! Now THAT's impressive. I'll be featuring this one in my blog. Hi! I just found your post and I love this idea!! We just went IKEA and I was wondering what to do with all that cardboard that we have. Now I know, THANKS! You could even change the picture at night so it would appear dark outside. Wow! Wow! Wow! This would make a great Christmas or Birthday present for a little girl...or even for someone wanting to display their Barbie collection but are on a budget and can't afford the fancy Barbie house. 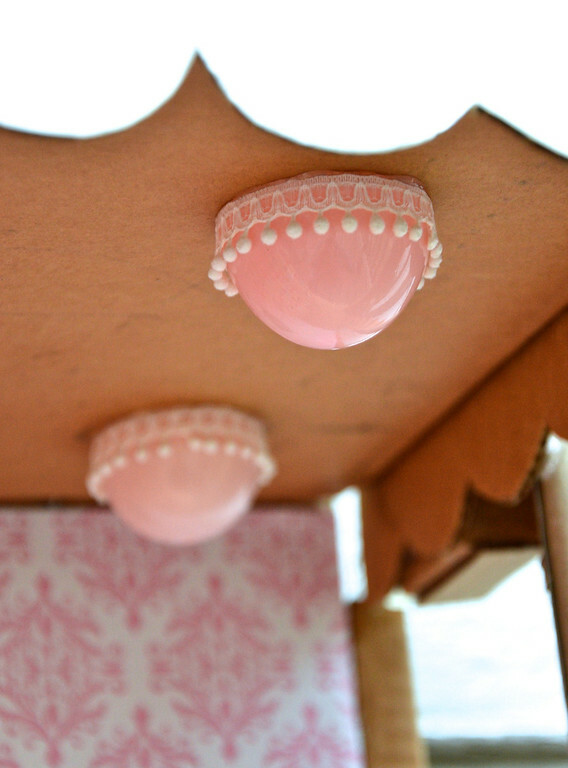 I especially love all the small touches on the house...my favorite though has to be the working light fixture!. The looks absolutely fantastic and I can easily tell a lot of love went into it's construction. I found your site because I was looking for a way to display my collection and think this would be perfect. The ideas are endless! LOL You could conceivably make a whole town for Barbie out of cardboard. I'm not quite that ambitious, though I can certainly see some of the folks over on Flickr doing it for their Barbie dioramas. OK, THIS IS INCREDIBLE. GREAT JOB! This is the best! Better than the Barbie Dreamhouse or whatever it was called. 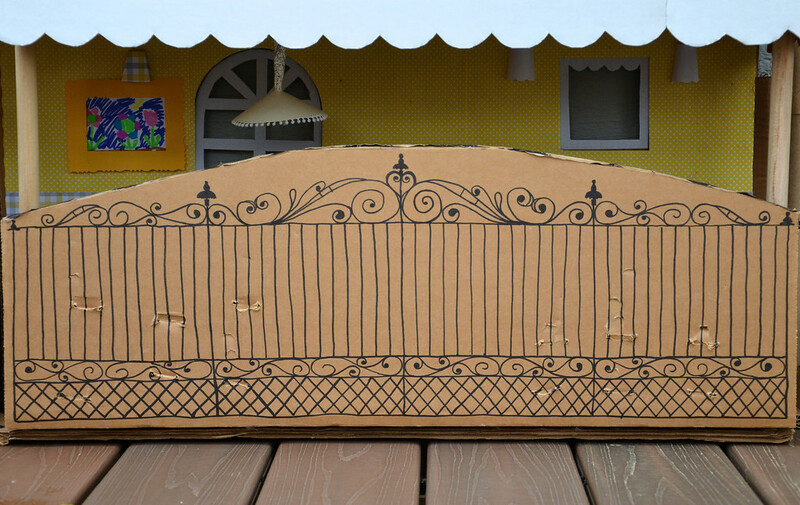 love it it is very cute and modern .i also have a question is this made out of 1 big box or i big box follwed by three or four.please answer back someone i want to make this so bad. 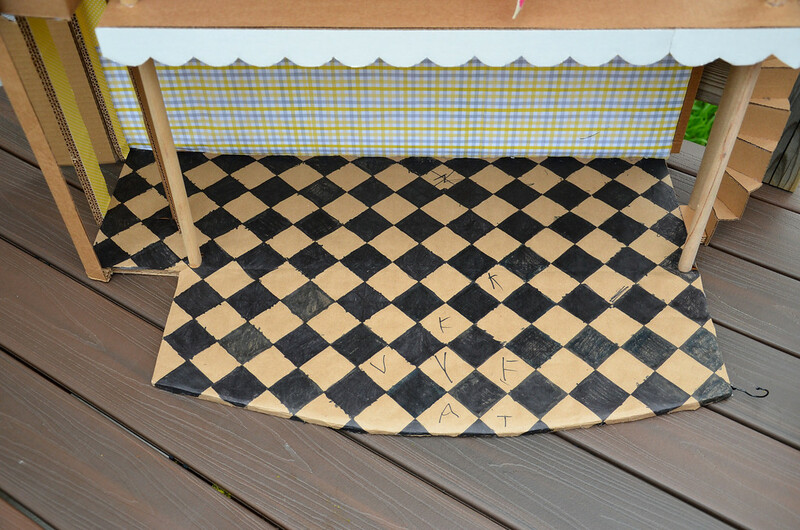 Anonymous: It's made out of one big sheet, folded to form the back and floor. This is so adorable. 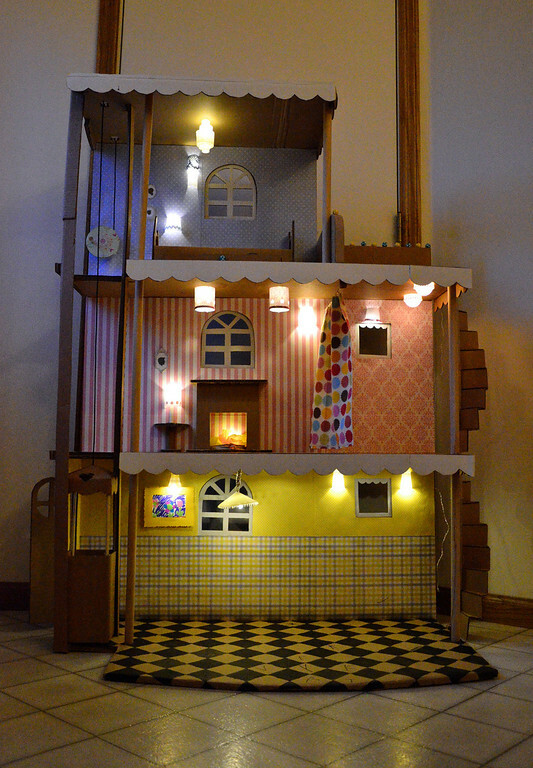 I've seen photos of your dollhouse on google images and pinterest. Very inspiring! You've got talent, sister! This is so cool because it is personalized and not just a plastic thing that looks like all the others. When I was little, my mom made me a cardboard Barbie dress shop and my aunt made dozens of dresses and hats for Barbie to sell. I'm sorry I played with that Barbie into oblivion because it was one of the very first ever sold :-) . Very beautiful!I also make house. I can not add my photo, it's a pity. It's so cool. I love your house. Thanks for you idea... I hope i can make an amazing house like u. This is so amazing I have almost 3yo twins and I'm sure they'll love it! I'm planning in building it together even though it won't be perfect they'll learn that they can build their own toys.